The first big event of the 2013 season was the AGM at the Irish Cultural Centre in February. With the frigid weather belying the heat that would come in late June and July, the 2013 board was appointed by the body of delegates present. At that time of year, with temperatures around the freezing mark and the playing fields lying fallow, it is difficult to picture the scenes that await just a few months ahead. Overcoats are put away in favor of tee shirts and shorts as temperatures rise to much more agreeable levels, and the quiet of a February Sunday lies in stark contrast to the spectacle of the Irish games taking place on the fields on a late Spring or Summer Sabbath. Fr. Tom's Shane Howley in full flight. There were 12 competitions run over the course of the season. There were 3 cup competitions and 9 championships. Changes to the format of the football competitions were implemented as a result of various suggestions that were made at the AGM. The senior football championship was reduced to 8 teams, while the junior competitions were divided into 3 groups. The junior A championship was divided into A1 and A2 sections and the junior B football was reduced to 5 teams. Unfortunately the New England Celtics were unable to field for the junior B competition; hopefully the club will be back to compete again in 2014. With the addition of Hartford, Ct. to the junior C hurling competition, the sport is now present in 4 of the 6 New England states with plans afoot for a team in Vermont - that would leave just Rhode Island without a hurling club. There was also a new team made up of players from the Irish Sports Youth League added to the Ladies junior football competition. 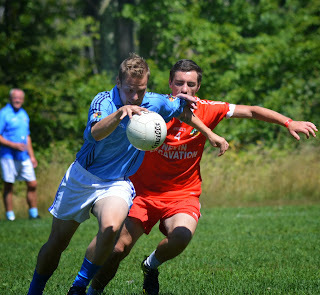 The Wolfe Tones and Connemara Gaels were the first Boston clubs in action as both traveled to New York to take part in the John Joe Cassidy 7-a side. The Tones were defending champions, the first non-New York club to win the tournament in 2012. Needless to say, New Yorkers were determined to take the cup off the Boston upstarts. The Gaels did not fare well enough to make it out of their group. however, the Tones made it to the final and lost out by a point to a very strong Cork of New York. April 17 saw the opening day of the Pat O'Brien Cup in football at the ICC in Canton. A back door round was introduced this year to the competition to give teams at least two runs out before the championships would begin in May. Aidan McAnespies were eventual champions, winning handsomely against Wolfe Tones in the final. The hurlers got their year on the field off to a start with the Sheehan Cup. Tipperary defeated Fr. Tom Burke's in the final to make it back to back cup wins having won in 2012. For the ladies footballers, the Boston Shamrocks captured the Orla Benson Cup with a fine performance over Connacht Ladies in the final. The Championships kicked off in May. Senior Football was up for grabs all season. With the shortened field of clubs, everyone was in with a shout late in July. In the end, the 6 who made it to the playoffs were Christopher's, Shannon Blues, Aidan McAnespies, Connemara Gaels, Kerry, and Wolfe Tones. Galway and Donegal were the 2 left on the outside looking in despite some gallant displays over the summer. In the quarter finals the Gaels met Kerry and Aidan McAnespies met Wolfe Tones. The Tones could not break their playoff duck and lost by the narrowest of margins to their arch rivals having had several chances to win the game. The Gaels dispatched Kerry with room to spare in their game. The semi finals saw Shannon Blues and Aidan McAnespies play a classic game of football. 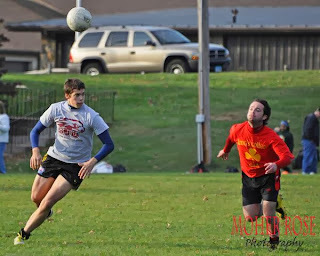 It was the type of game that leaves spectators wanting more, and makes one wonder how, after a century of existence on this side of the pond, that Gaelic Football is still a relatively unknown sport in the United States. The level of skill, excitement, and tension that the game can generate is second to none. It was clear that neither side wanted to come out on the wrong end of the result, and neither did - on Sunday at least. The game ended in a draw after extra time. The teams did it again the following Tuesday, and McAnespies had the gas in the tank to hold off a late Blues comeback and advance to the final. It turned out to be the Gaels who made the final to meet the Macs after defeating Christopher's with some room to spare. Another one that I liked from 2013 - Shamrocks Captain Edel McGovern with the Orla Benson Cup making the post game speech. The talk on the Sunday evening of the semi-finals was that the final had been played already, the Connemara Gaels were not given much of a chance against what was a strong McAnespies team that looked to be gelling at precisely the right time of year. With a starting 13 that featured 7 home based players, and bench filled with juniors, it was hard to see how the Gaels could come out on top. The old saying that the games are played for a reason proved to be true as the Gaels won a famous victory with a performance that contained all of the self-belief a team could possibly have, and left McAnespies somewhat at a loss to figure out what happened when the final whistle sounded. It was the first senior victory for the club since 2001 and celebrations in JJs on Dot Ave. continued for almost a full week. Christopher's Faithful looking confident of a result. In senior hurling it was Tipperary who proved to be top dog all season. With a strong squad of players from back to front, Tipp topped the table getting the key wins in the round robin stages of the championship, while Galway and Wexford met in an all Brighton semi-final game, which was also a repeat of the 2012 final. Fr. Tom Burke's had done enough to keep themselves in it until the late stages and worked themselves into playoff with Wexford to Wednesday before the semi-final to see who would meet Galway. It turned out to be Wexford who came through to meet the old rivals. This time Galway got revenge on their neighbors with a 3 point win that was a little more comfortable then the score line suggested. In the final game Tipperary captured their first Boston championship in 3 years as they pulled away from their opponents in the second half. With 3 players stepping up from the junior team, Tipperary showed their resolve in the second half with a determined display and proved to be deserved winners. For the second year in a row, Connacht Ladies dominated the Ladies senior football competition with some emphatic displays. Having made the final, a Connacht win was on the cards as Amy Ring, Jane Ward, Joanne O'Connell and Co. were on form all summer. There were some spirited displays from the Shamrocks and Tír na nÓg over the season, but heading into the final the newest team on the scene in Boston were hot favorites. The Shamrocks made it to the last Sunday in August, and battled hard in the final, but it was never close with the westerners running out 19 point winners. in their Junior A semi-final. The revamped junior football competitions proved to be a major success. Each section was more competitive than in previous years, and teams had more to play for late in the season. Cork, Mayo, and Armagh-Notre Dame joined Wolfe Tones, Aidan McAnespies and Donegal in the A1 division, while the A2 division was composed of the other 5 senior clubs' second teams. The junior A championship went to Wolfe Tones in convincing fashion. The South Boston based side avenged the disappointment of last years defeat to Donegal in the final with a 9 point win over their arch rivals with a relentless display. Of the former senior teams, Cork were the only side to make the semi-finals. Hopes were high in the rebel camp, but the southerners lost out to the eventual champions. The Shannon Blues won the A2 division, beating Connemara Gaels in the final, and qualified for the Junior A semi-final. With a team that featured 5 American Born players, the Blues lost out to Donegal in their Junior A championship semi-final after a spirited display. Donegal were crowned Junior B football champions as they came back from the dead with two late goals to force extra time, and then defeat a stunned Aidan McAnespies in the extra period. Junior A hurling saw Wexford defeat Tipperary by 5 points in a closely contested final. It was all square coming into the final stretch, and Wexford rattled the net twice in the late stages to set themselves up for the win. There was much excitement at junior C level where Worcester won their first championship with a dramatic win over Portland. Portland peppered the Worcester goal late in the game, but their search for a game tying goal proved fruitless as Worcester held out. The Barley House Wolves entered the NACB junior B hurling championship, but with no other clubs at that level in the Northeast, preparation for the final in Cleveland was a challenge for them. Tír na nÓg won the Ladies junior football championship with a 10 point win over the Boston Shamrocks in the final. The ladies junior competition saw the addition of a fourth team made up of girls coming through the Irish Sports Youth League. Hopefully this will provide an avenue for graduates of the underage program to continue to play and develop after minor level. Wexford Junior Hurlers stretch under the watchful eye of James Kehoe before a big game versus Tom's. 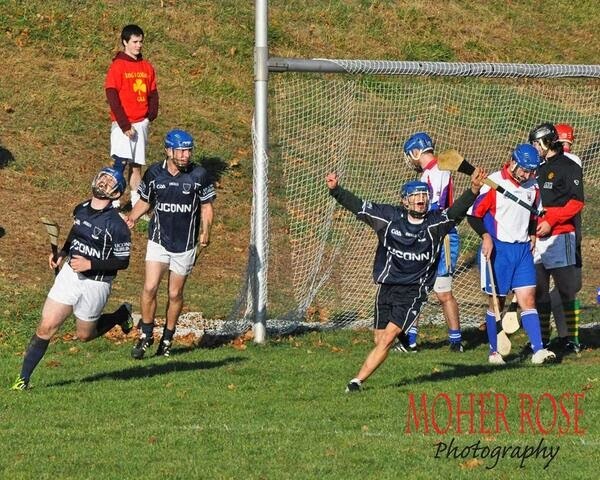 The competition at the ICC is probably the best live Gaelic football and hurling that you will see in North America. Clubs continue to make tremendous efforts to keep the show on the road. Some clubs have adopted scholarship programs for players coming through the underage ranks, Shannon Blues and Cork are examples of that. Another interesting observation from the 2013 season was that the winners of the men's senior football and hurling and football championships called up several players from the junior ranks for the late stages of the season due to sanction players returning to Ireland, and these players helped deliver the championships. Perhaps it is time to think about changes to the current rules governing player registration that could help ease the pressure on some clubs to stay competitive, and to bring more of a reward for recruiting and retaining home based talent. Looking ahead, 2014 is a big year for the Boston Northeast division. There is much work to do to prepare for the North American Board Finals, and the visit of the All-Stars in October. The main field underwent a resurfacing, sponsorship for a new electronic scoreboard is in the pipeline, and plans were well underway to organize the logistics for the finals Labor Day weekend. The Boston Northeast Board would like to congratulate the 2013 winners and thank the clubs for their continued efforts in making for competitive and exciting competition at all levels of play. We look forward to meeting the challenges ahead next season. The Connemara Gaels celebrate their 2013 Boston Senior Football Championship Victory with a banquet next Saturday, December 7, at the IBEW Hall on Freeport St. in Dorchester. The Banquet will be held on honor of long serving Gaels member, Jimmy O’Sullivan. Guests of honor include Sean Og De Paor, Joe McDonagh, and Mayor Elect, Martin Walsh. Sean Og was part of the 1997 Connemara Gaels Boston championship side, and won All-Irelands with Galway in 1998 and 2001, and All Star awards in those years. Regarded as the best in the country at his position of right half back, the Carraroe man also represented Ireland between 1998 and 2001 in the International Rules series. 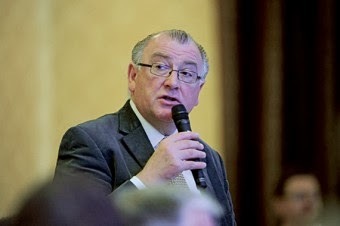 Joe McDonagh, former President of the GAA and Galway hurler, is the holder of an All-Ireland medal from1980 when he famously sang “The West’s Awake” from the steps of the Hogan Stand. Joe also served as a Board Director of the World Special Olympics. Marty Walsh may not have any All-Ireland medals or All-Star awards to his name, however, Marty brought a lot of pride to the Galway and Connemara in particular with his recent election as mayor of Boston. After an up and down regular season, the Gaels made the playoffs and drew Kerry in the quarter final. A convincing win by a score of 2-14 to 2-9, with a goal each from Coleman Mulkerrins and Ian Burke, earned the Gaels a semi-final date with Christopher’s. Michael Lundy was the star of the show in the semi-final with 2 first half goals, and a third early in the second half from Ryan Hyde helped the Gaels through into the final where they would face a formidable foe in Aidan McAnespies. The Gaels started off with a bang after Lee Cullen netted from corner back within 5 minutes, and getting fine performances throughout the field, never let their opponents take the lead. A Kevin McGrath goal in the second half provided the cushion for the Gaels who won a famous victory by a score of 2-9 to 0-10. The starting 13 that day were Eoin Connolly (Galway), Lee Cullen (Fermanagh), Che Cullen (Fermanagh), Pat McNicholas (Mayo) Robbie Kiely (Tipperary), Damien Doolan (Kerry), Damien Comer (Galway), Ryan Hyde (Fermanagh), Michael Lundy (Galway), Noel Graham (Offaly), Sean Connelly (Galway), Coleman Mulkerrins (Galway), Kevin McGrath (Laois). Banquet honoree, Jimmy O'Sullivan, was raised in Derradda East, Recess, Co. Galway. He grew up playing football with the minor and junior football teams for Roundstone Football Club. Unfortunately his career ended early due to a knee injury that prevented him from playing football again. 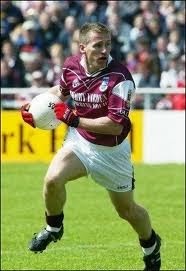 However, Jimmy remained very active in the GAA. After emigrating to London, he was involved with South O’Hanlon’s F.C. and St. Michael’s F.C. and helped form St. Gabriel’s H.C. Later in Birmingham, he worked with St. Brendan’s F.C. 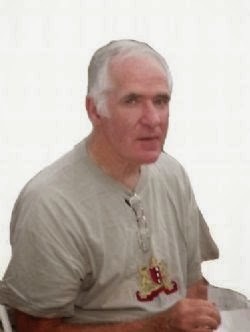 In the early 1970s, Jimmy moved to Boston and joined the Connemara Gaels. Throughout the 70s, Jimmy also lived in New York, Chicago and San Francisco. He was a big supporter of the New York and Chicago Gaels and helped restart the San Francisco GAA. Eventually, Jimmy moved back to Boston. He was a prominent selector and supporter of the Connemara Gaels, including managing his brothers, Paddy and John, on the senior Gaels football team. Jimmy resides in Braintree with his wife Ann and son Connor, who is known throughout the world as the #1 Gaels man and the flyer of the flag for the Gaels in Canton and also for the great boxer Kevin McBride. Jimmy worked in many different fields of the construction industry, including many years as a painter. He was also the first to work with Connemara Green Marble in Recess. Jimmy is known for his support of the Irish culture and causes. He has helped many generations of Irish immigrants and has always been involved in many benefits. A true sportsman, the GAA never had a better ambassador for its game and the Gaels never had a better clubman than Jimmy Sullivan. Doors open at 7:00. For ticket information contact John Conneeley (617) 306-0992, Pat McNicholas (617) 319-2781, Steven Murray (781) 336-3083, Stephen King (617) 877-3011. A great night awaits! November 9, 2013 saw a significant step in the development of Gaelic Games at college level in the Northeast. The Irish American Home Society in Glastonbury, Ct., home to the Hartford GAA Club, was the scene for the first ever Northeast Colleges GAA Tournament. 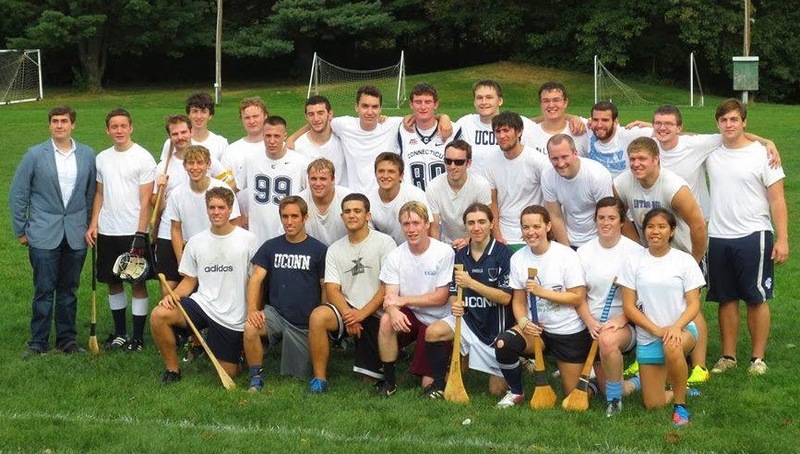 Teams from colleges in Pennsylvania, New York, Massachusetts and Connecticut competed in both Hurling and Football competitions for the title of Northeast champions. St. Joe's and King's College Battled it out in Hartford. There had been activity in colleges with kids who had come through underage programs forming teams. St. Joe's in Pennsylvania and Boston College had played each other in challenge games, and New York had sent an amalgamated college team to compete in the British University's each year. In September of this year the Northeast Collegiate GAA Board was formed to provide some structure around the organization of Gaelic Games at the third level. The Fall Tournament featured a total of 12 teams. Four hurling, UConn, NY Colleges, as well as the Hartford GAA Club and Worcester Hurling Club. The tournament saw Worcester pull off a last minute win over UConn in the final to win the first ever Northeast Colleges Hurling Trophy. Football saw 8 teams compete. BC, Worcester, (Ma. ); St. Joe's, Kings College (Pa.); Fordham, Iona, Manhattan College, (NY); and Hartford (Ct.). The teams were drawn in 2 groups and the eventual winners were Iona, who proved to be strong all the way through the tourney. There were some great games between BC and St. Joe's as well as Kings College and St. Joe's as rivalries start to develop. The New York GAA Board sponsored the football trophy, while sponsorship for the Hurling trophy came from the Boston Northeast Board. Joy for UConn Hurlers vs NY Colleges. Where to from here? At the end of March, St. Joe's will be hosting a Northeast tournament. St. Joe's are the first college in the United States to obtain club status for their GAA club. Memorial Day weekend sees the National Collegiate Tournament come to the Northeast and it will be played at Randall's Island in New York. College Teams from all over the United States will be traveling to participate. Chairman of the Northeast Colleges Board, and New York Games Development Officer, Simon Gillespie is hopeful that the kids who are forming and organizing these college clubs will develop the skills to take with them to adult clubs after they graduate. The board is made up of the college kids, and with involvement coming from within it is hoped that there will be something sustainable in the works. Eamon Gormley, who is based on the west coast saw the importance of developing games in third level institutions to provide continuation for kids who come through underage programs, and allow them to bridge the gap between playing gaelic games at underage and adult levels. College teams were formed on the west coast several years ago, and now with development in the opposite corner of the country and the midwest, the dots are beginning to connect. The National Colleges Tournament is both a challenge and a huge opportunity for the Northeast Colleges. As Simon Gillespie said, the weekend in November went well but there was also a lot from it that can be learned. In the United States, March Madness basketball, all kinds of bowls in (American) Football, and NCAA Championship Hockey form the big dates in the college sporting calendars. Colleges GAA has a long way to go to rival these events, however, with all of the work going into the organization of gaelic games at third level, Memorial Day weekend is sure to continue to become a bigger and bigger day for colleges GAA. Boston was painted blue and navy last weekend when the Dubs came to town with the Sam Maguire and National League Cups. A party of Dublin players, selectors, and the 2 cups made the 3,000 mile journey westward from Ireland to Boston, home to many natives of the Emerald Isle, amongst them many Dubliners. It was the first time since 1976 that Dublin captured the League, Leinster, and All-Ireland trophies. The visit was hosted by The Friends of Dublin GAA Boston, a group formed 2 years ago which also hosted a visiting party 2 years ago following the 2011 All-Ireland success. and Paul Campbell at McGanns. Star players, Ger Brennan, Dermot Connolly, 2011 captain Bryan Cullen, Darren Daly and Philly McMahon were joined by selectors Shane O'Hanlon and Michael Kennedy on the trip. Jason Sherlock, a winner in 1995, who was in town for the week as part of a group from DCU, joined in the celebrations. First stop Saturday evening was the Irish Pastoral Center fundraising banquet in Florian Hall, Dorchester, where Ger Brennan addressed the crowd, amongst them President Mary McAleese. Then it was into town to a reception at McGanns Pub on Portland Street. A group of 100 guests had a chance to meet the players, take pictures with the cups, and enjoy a celebration of Dublin's second All-Ireland in 3 years. proceeds going to the One Fund. The celebrations were non-stop on Sunday as the party toured several Boston area bars. Hundreds of people, young and old, Dubs and non-Dubs, showed up as the cups and the group made their way from The Phoenix Landing in Cambridge, to The Black Rose and Mr. Dooleys downtown, on to Porter Belly's in Brighton and ending the day at The Blackthorn in South Boston. People took photos with the trophies, and the players were more than willing to oblige those who wanted to take a souvenir pic with one or more of the stars. 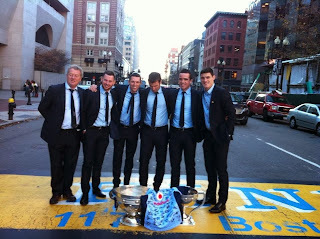 On Monday the group were received by the Consul General, Brendan O'Chongaile, and then paid a visit to the finish line of the Boston Marathon to show their respect for the victims of that terrible day in April, a touch of class by the players who to be great ambassadors for the GAA, Dublin and Ireland. The lads and the cups headed home Monday night, and certainly left a great impression with everyone they met on their visit to the city. It was a weekend that will not be forgotten too soon by those who had the good fortune to be part of it. A big thank you to the traveling party, the committee, those who supported the event, Joe Dunne, the Consul General, the hosting bars, Guinness, Magners, Budweiser, and Dirty Water TV for helping make this weekend happen. 2013 was a spectacular year for Dublin GAA. With a haul of 4 trophies between the senior hurling and football teams, it was a year of unrivalled success. In fact, 1976 was the last time that the Dublin footballers captured all 3 cups. The season got off to a great start with the footballers winning the National League. Meath proved to be a tough obstacle in the Leinster Final, but the Dubs beat off a tough challenge from the next door neighbours to land the second trophy of the year. The fruits of more than a decade of work at hurling development were borne when the Dublin hurlers captured their first Leinster Hurling Championship in over 50 years, beating Kilkenny and Galway in the process. An All-Ireland eluded the Boys in Blue however, as Cork narrowly defeated the Dubs in a fantastic semi-final. The third Sunday in September the footballers hauled in their the biggest trophy of the year winning the iconic Sam Maguire Cup in fine style. Who can forget that magical win over Kerry in a semi-final where Kevin McManamon scored a fantastic last minute goal to slay the Kingdom dragon. The game recalled memories of 1977 when Dublin defeated the old rivals in what still is described as one of the most exciting games of gaelic football ever. The Dubs captured the All-Ireland title against a highly fancied Mayo team. Goalkeeper Steven Cluxton redefined the role of the goalkeeper, slotting long range frees over the bar and dictating the game with kickouts that consistently found their targets. It brought to mind the precision of an American Football quarterback hitting his targets. The players dug deep to recover from an early Mayo onslaught, and late in the game held off a last minute run from the westerners to emerge one-point victors. With manager Jim Gavin adding young players of the likes of Jack McCaffrey and Ciaran Kilkenny to a team that already contains veterans of the 2011 championship, Bernard Brogan, Paul Flynn, Michael Darragh McCauley, and James McCarthy, the future looks exciting indeed. On November 16 the 3 football trophies will be coming to Boston along with members of the victorious Dublin squad. There will be a reception in McGanns on Portland St. in Boston. Join in welcoming the players to Boston, hold the cups, and enjoy what will be a memorable celebration of this year’s success. The event begins at 7:00, with a cocktail reception from 8-9:00. Tickets are $100 with the proceeds going to the players fund. Find our page on Facebook, Friends of Dublin GAA Boston, for further information. Tickets are limited and are available through McGann’s, porter Belly’s in Brighton, or contact Sean McCormack at (617) 840-2983. College Football and Hurling is coming to the North East! College teams from across the northeast region will be converging on the Irish American Home Society in Glastonbury CT in just over 2 weeks for the inaugural fall tournament of Gaelic Football and Hurling. The IAHS and Hartford GAA have graciously agreed to host the tournament. Teams from Boston College, St. Joseph’s (Philadelphia), Fordham (New York), Iona (New York), and UConn (Connecticut), along with club teams from Hartford and Worcester, will compete for the fall trophy. Gaelic Football and Hurling Clubs have formed in recent years in third level institutions from Southern California to New England. The National Collegiate Gaelic Athletic Association was established in 2009 to assist in the development of new hurling and Gaelic football teams on college campuses throughout the United States, and to provide a structure in which competitive games can be played. With GAA clubs springing up on college campuses in the northeast region a need was seen to put some organization and structure around the games. This year a committee was formed to help with the efforts, and the Northeast Collegiate Gaelic Athletic Association was formed. The board covers the an area including New England, New York, New Jersey Pennsylvania, Maryland, with the goal of spreading awareness and advancing gaelic sports in colleges in the region. The tournament is the first of it’s kind in the area and the inaugural trophy will be awarded to the winners. It is a huge first step towards the development of games in colleges in the northeastern region. “We are really looking forward to hosting our first ever tournament,” says Simon Gillespie, Chairman of the Northeast Collegiate Board. The tournament is a block to build upon, and the goal being that eventually the clubs themselves will be in a position to administer the games and competitions. Many of the players involved have come through the youth ranks in their respective areas. Over the years a gap to be bridged was that from minor to adult level. It is a gap made all the more difficult because most of the players who come through underage ranks do not have the opportunity to continue to play when in college. Growing gaelic games in third level educational institutions will go a long way to bridging that gap, though there is a learning curve involved as Simon points out. “The success of the day will be based on whether the Colleges teams themselves are a success. Most of these teams have players who have grown up with clubs and a community but now these players must not only play the game, but also learn to set up, administer, and coordinate their teams without influence from parents or coaches. That is also an important learning curve for the players. The work put in by these kids will hopefully pay off and we can use this day as a starting point for Colleges GAA in the North East” pointed out Simon. Maybe one day we will look back at November 9, 2013 as the day it all began.